Hi everyone! Yet again, it’s been a couple of weeks since I last posted. We had a lovely week away in Zante, and then last weekend (when I was due to be back on here) I was struck down by some yucky lurgy thanks to some pasty teenager coughing all over me on the flight home. It wasn’t the best way to end a week off! 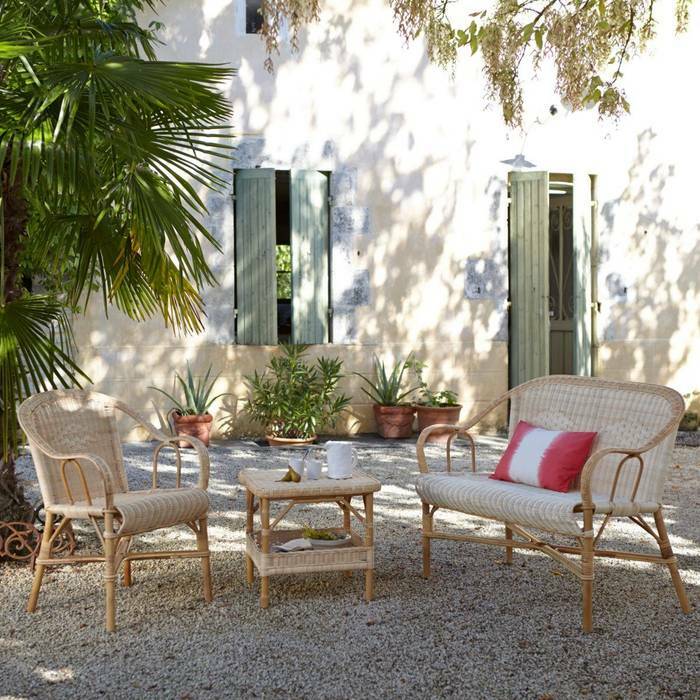 I really love rattan furniture; used in interiors, it instantly adds a Summery, laid back feel and a few pieces in the garden can transform a simple space into an exotic hideaway. I would say the only downside is that sometimes it’s not overly comfortable (although this can be made into a positive through the need of some pretty cushions! ), and with our unpredictable ‘Summer’ weather – it is currently tipping it down outside my window – it can need a bit of looking after to make sure it doesn’t just get ratty and fall apart. 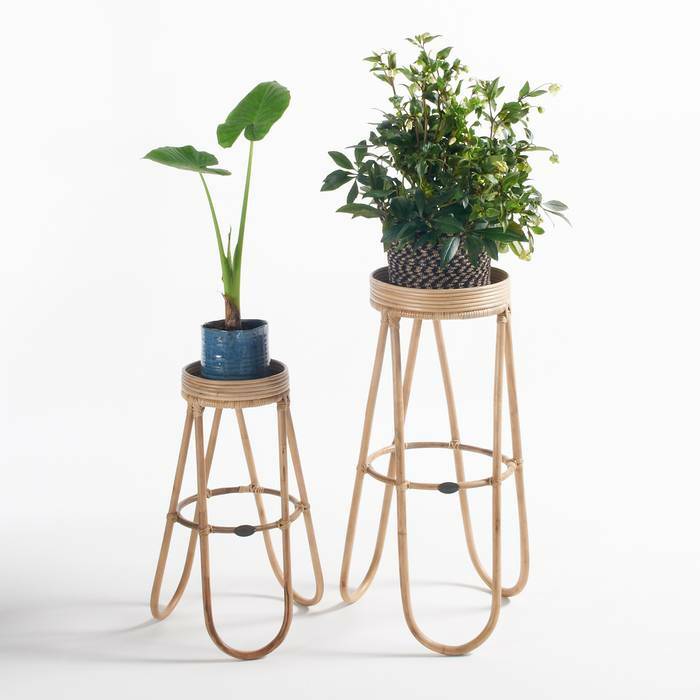 House plants are a big deal in interior design at the moment which I think is lovely, and these plant stands are stand out pieces in my eyes. Really unusual and eye-catching, you could even use them to display ornaments or as side tables if you’re not feeling overly green-fingered! This is fab! 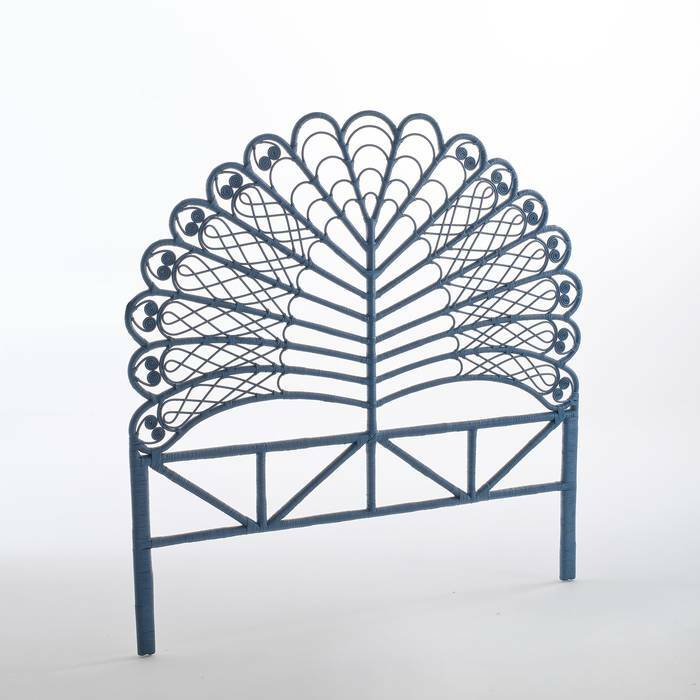 Majorly peacock-y, but if you paired it with simple white bedding and maybe some mango wood furniture, it could make for a really stunning bedroom scheme and not too over the top! Maybe a great choice for a little girls room – not too twee but fun and interesting. 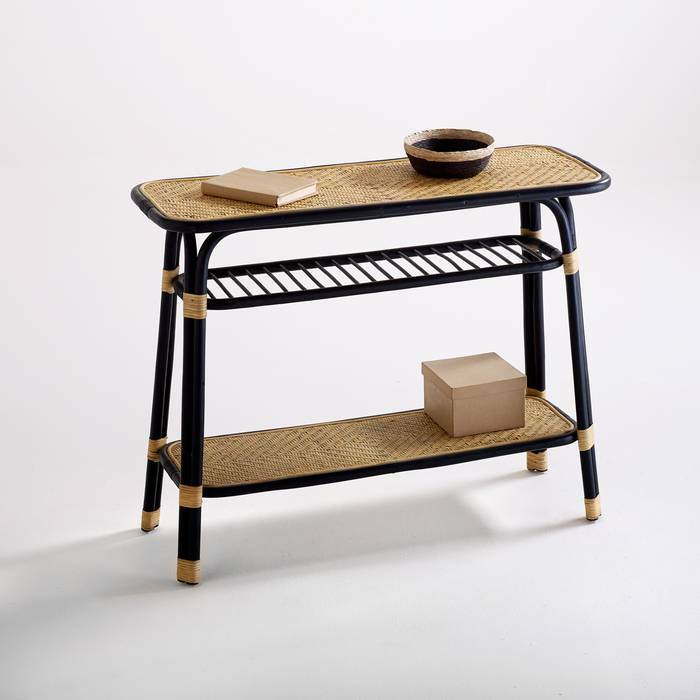 I love the use of black painted and natural rattan in this piece, it gives it a more substantial, solid look, whilst retaining a casual appearance, thanks to the woven shelf tops. I can imagine it on a spacious landing, with pale walls – a real stand alone piece. 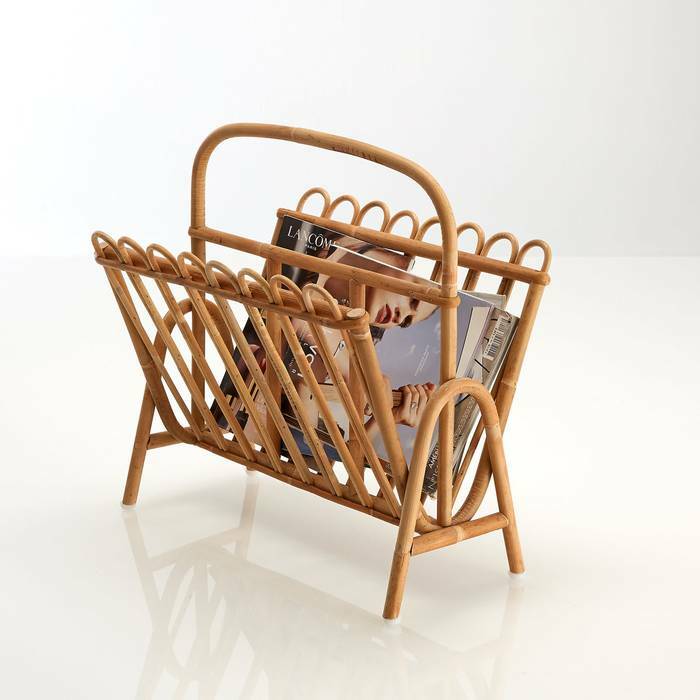 What kind of crazy person would I be if I talked a bunch about rattan and interiors, and didn’t include some form of basket?! 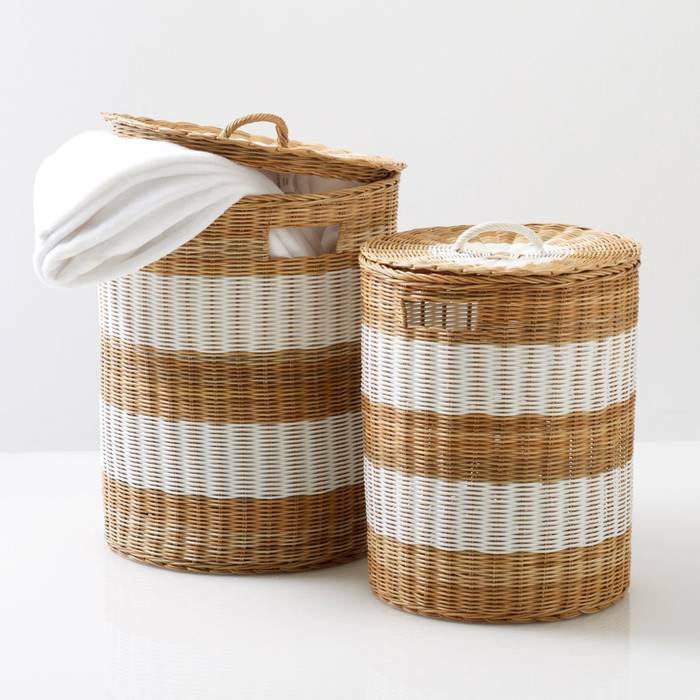 Really like these striped numbers (they’d look great in our bathroom!) but could be really handy in a family room for toys too. So, there you have it. 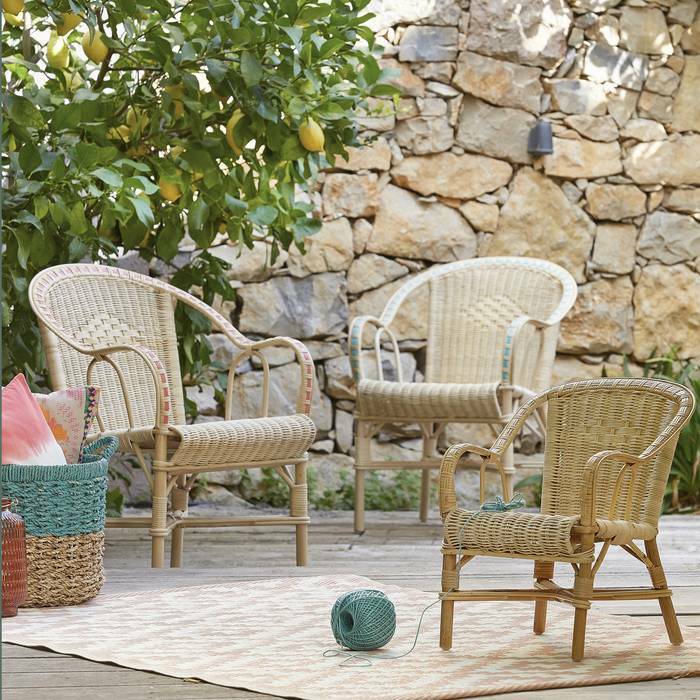 A round-up of ways to incorporate Summer’s top material – rattan – in your interior or garden design, all courtesy of La Redoute. *As you’ll know by now, these posts aren’t endorsed or sponsored by anyone, it’s just me getting obsessed by pretty things and wanting to share… Thanks for reading! This entry was posted in Pick of the week and tagged accessories, bathroom, bedroom, furniture, garden, garden furniture, holiday, home decor, home design, home inspiration, homewares, Inspiration, interior design, interior trends, interiors, La Redoute, laid back, living room, rattan, storage, summer. Bookmark the permalink.